Nestled down on Slatyer Avenue right near the Home of the Arts, Caffe Republic is an understated gem, serving up food so delicious and healthy that it loves you just as much as you love it. Open from 6:30am every morning, start your morning right in their bright and friendly undercover space, complete with plenty of greenery and a quirky wall mural that you'll totally love. If you haven't totally fallen in love with the space after checking out their wall art and hanging plants, you totally will once you see their menu. 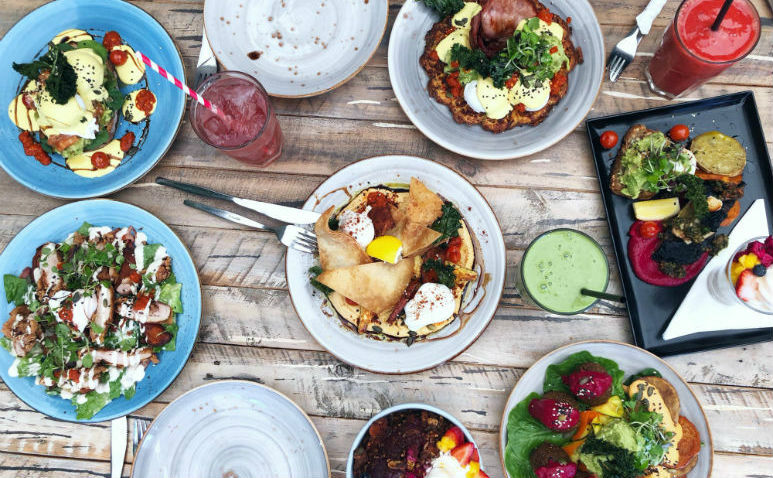 Perfectly complimenting their brightly-coloured space, the menu at Caffe Republic is no less stunning, full of colourful and creative dishes that you often won't find anywhere else on the Gold Coast. Pick from vibrant Brekky Bowls, Ocean Trout, Pancakes and Eggs Bennies from their all-day breakfast menu, as well as Beef and Chicken Caesar Burgers on their lunch menu, or change it up with something from their constantly-changing specials board, featuring everything from Waffles to Vegan Carbonara. Also serving up the perfect cure for this Summer heat, Caffe Republic has hands-down one of the biggest ranges of Whip Bowls that we've ever seen. Serving up seven different options, you can pick from Acai, Seasonal Fruit, Apple Pie, Banoffee and Pink Pitaya Whips loaded with fresh fruit, chia seeds, coconut and various sauces, or you can get creative with your own blend, also offering up the option to MYO Coco Whip complete with a massive range of additions to create the ultimate Summer cure! Um, #YESPLEASE!